I don’t know why, I’d never wear it, but oh. my. god. It reminds me of a star cloud. 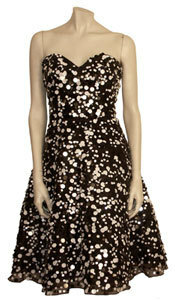 Strapless Dress with Paillettes, $348.00, from Cache Luxe.